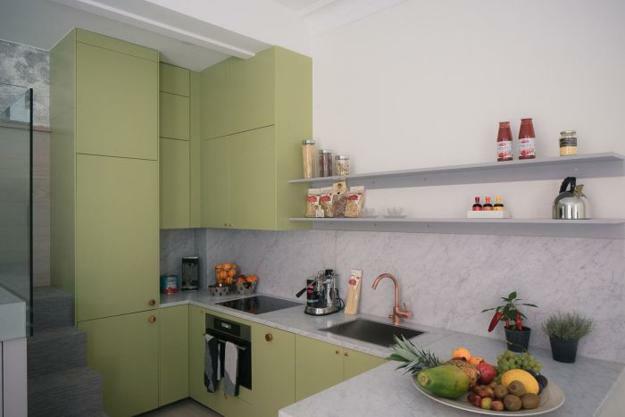 Tender green pastels are relaxing and pleasant colors, perfect for fresh and modern kitchen design. 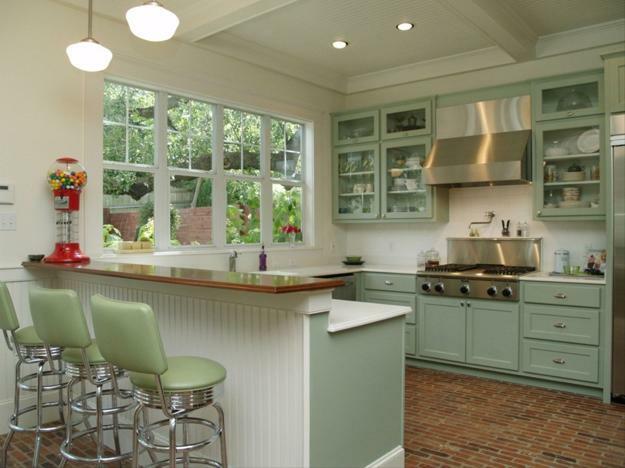 Cabinets and kitchen accessories look soft and beautiful in light green hues that create a gorgeous oat-green palette. Lushome brings stylish ideas and fabulous color schemes with creamy and greenish pastels that always feel like a breath of fresh air. 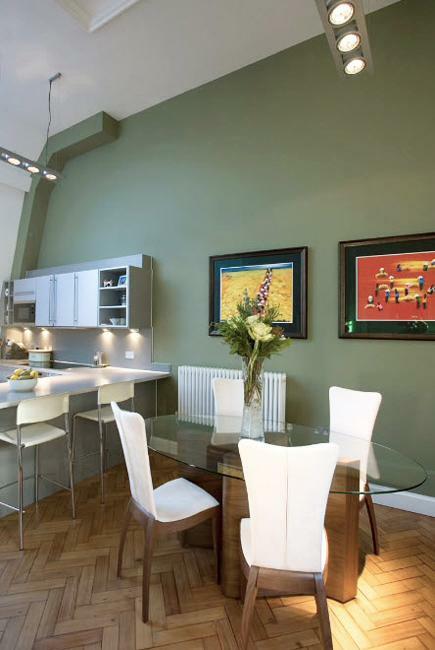 Oat green pastels and beige are ideal for sunny kitchens balancing warmth and cool colors. 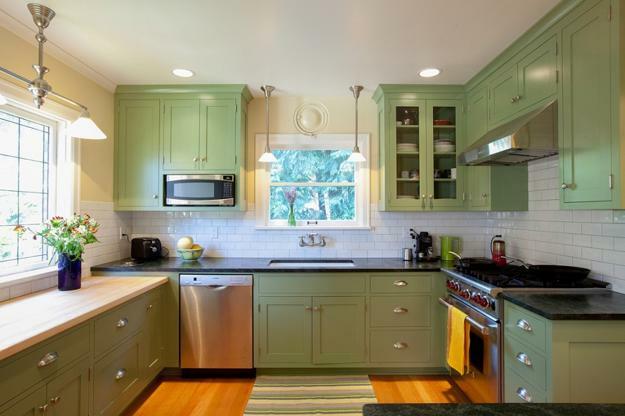 Pleasant and stylish kitchen colors include creamy, brownish, and greenish pastels which work well with all green colors, neutral color tones and create harmonious color combinations with natural wood hues. 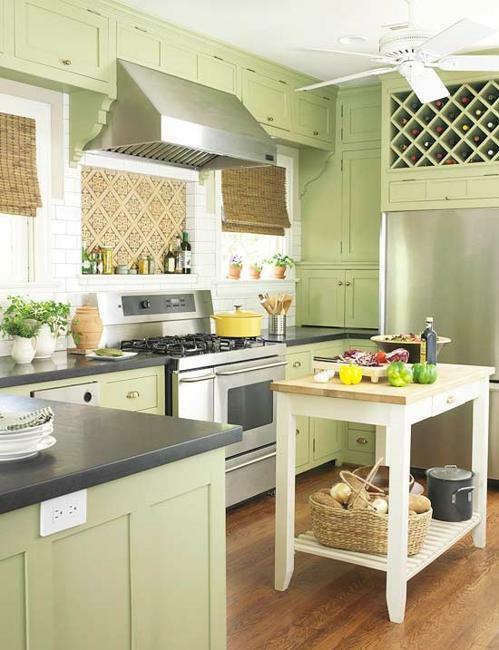 Modern kitchen decorating with breezy and cooling greenish and creamy colors feels tender, soft, and romantic. 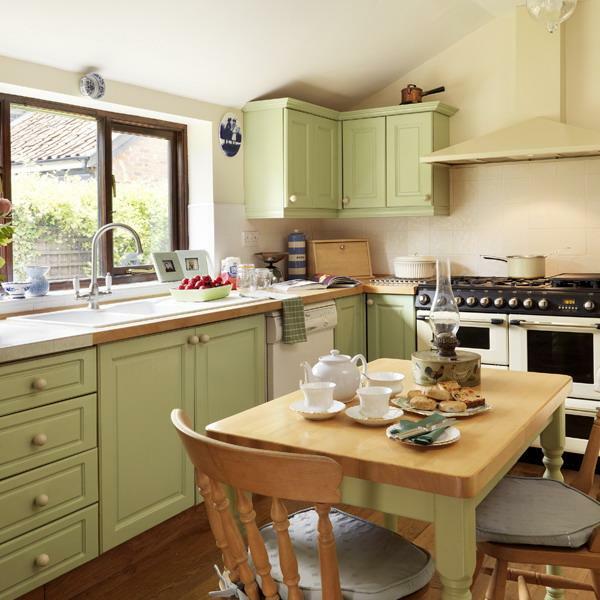 The light, fresh hues are perfect for spacious and small kitchen designs. 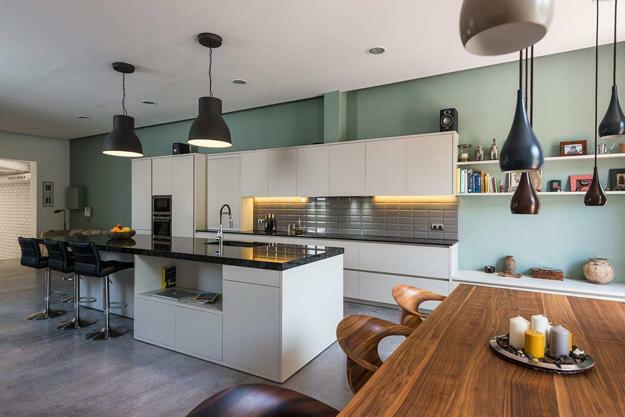 From delicate dusty green to pale, mint green, grayish tones and super girly, yellowish green colors, the beautiful kitchen color palette offers elegant and stylish solutions for bringing a masculine vibe and feminine charm into interior design. Green-gray tones look brilliant with a touch of the brutality of dark gray, brown, and black. 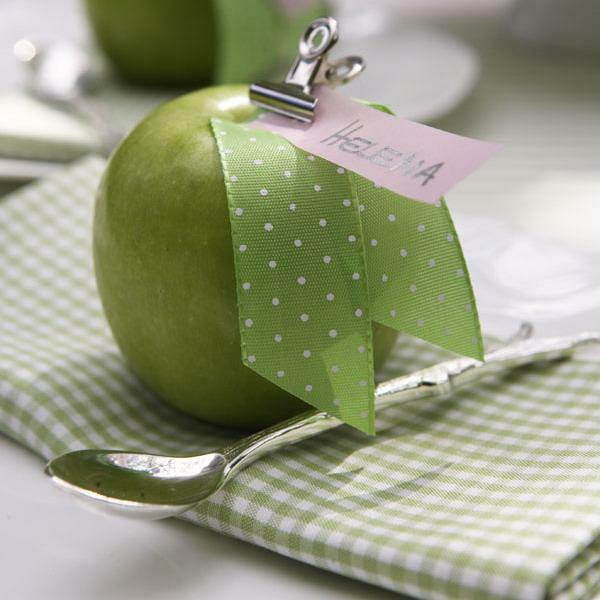 Soft, girly green colors beautifully mix with creamy oat shades, light beige, and off-whites. 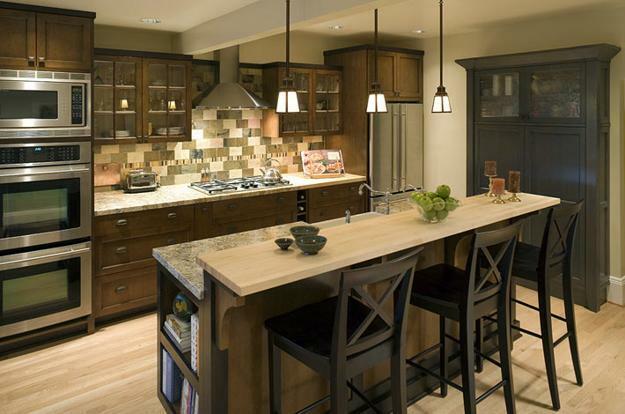 You can toughen the look by adding dark wood cabinets and dining furniture to green kitchen decorating ideas. 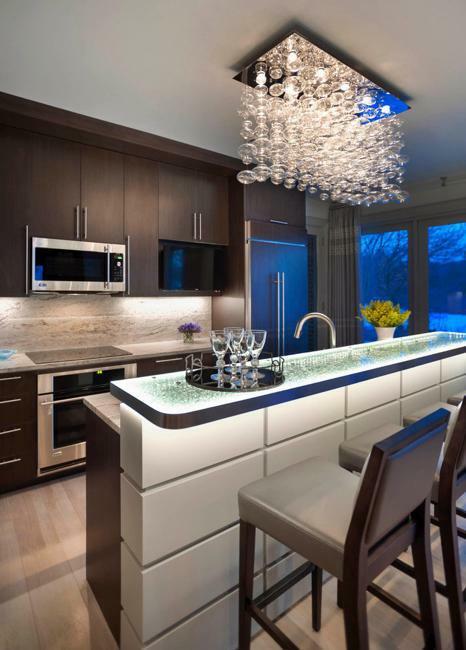 Sharp contrasts energize kitchen design and give the light pastels a slight grunge twist making a style statement. 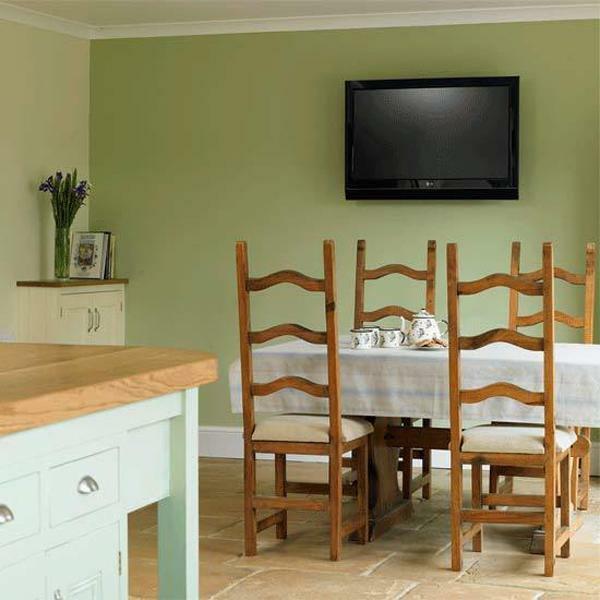 Soft green hues are versatile trends in decorating modern kitchen walls with paint, tiles or wallpaper. 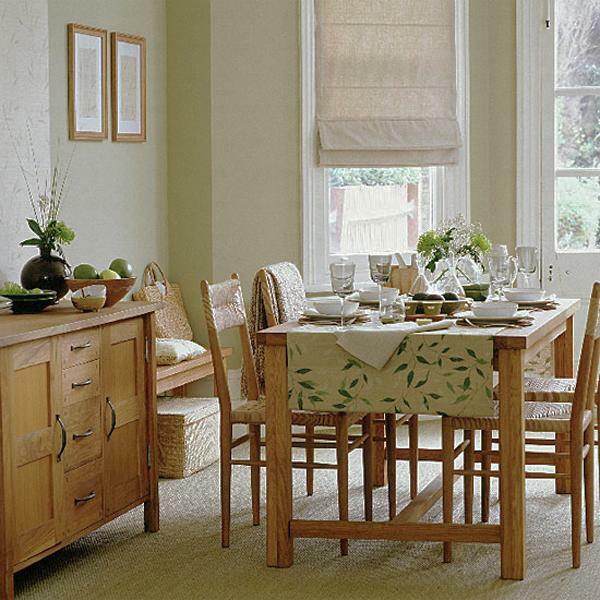 The oats provide fabulous shades for creating interesting and beautiful color schemes for airy and light kitchen design, inspired by fresh spring and relaxing summer. The uncomplicated color palette feels natural and soothing, blending pastel hues and modern accents into attractive and comfortable kitchen interiors. 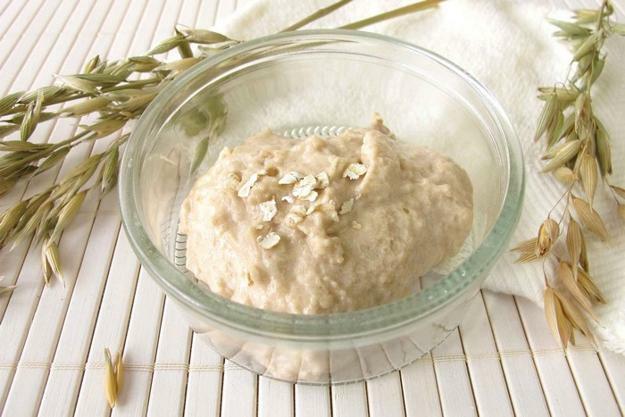 The feel-good hues of oats and natural wood colors bring a pleasant, fresh, and relaxing sense of comfort and cheer to modern kitchen color schemes while keeping interiors look elegant and bright. 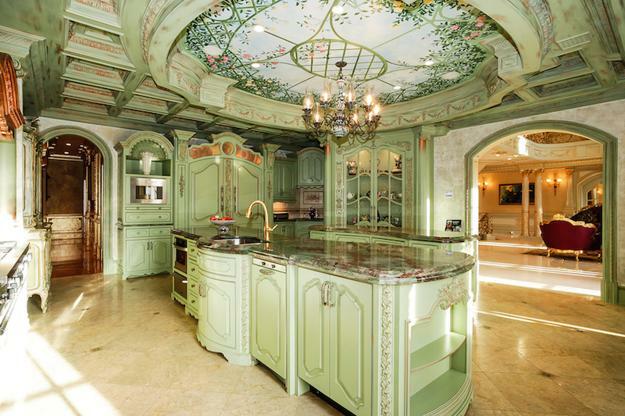 Pastel green and brown colors are perfect for inviting kitchen decorating in eco style, classic interiors, and sophisticated contemporary kitchen design. Light greenish pastels are spring and summer favorites as they work beautifully with all creamy whites. Green pastels are the easiest and most versatile, artistic, and natural mediums in existence. 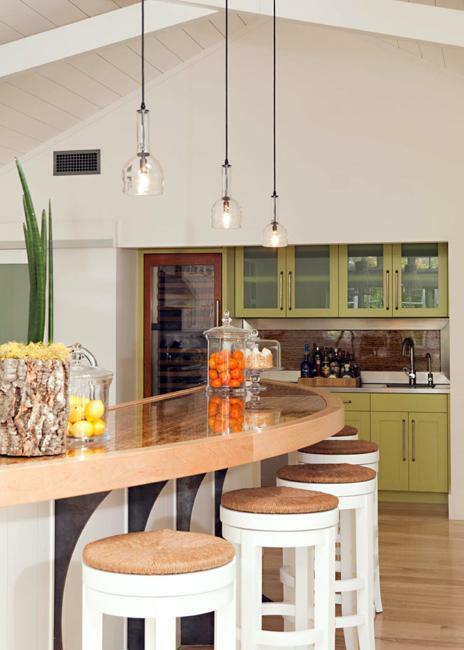 They connect kitchen design with outdoors and add charming chic to relaxing kitchen decorating. 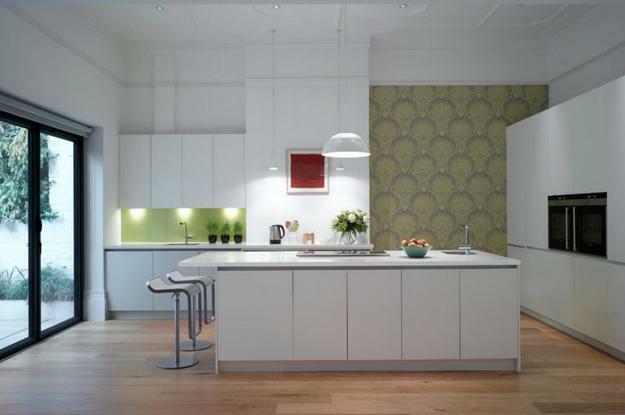 Contrast is an essential element for creating attractive combinations with green kitchen colors. A range of values from light to dark in your home decorating gives the color scheme a punch that capture attention and energize your kitchen design. 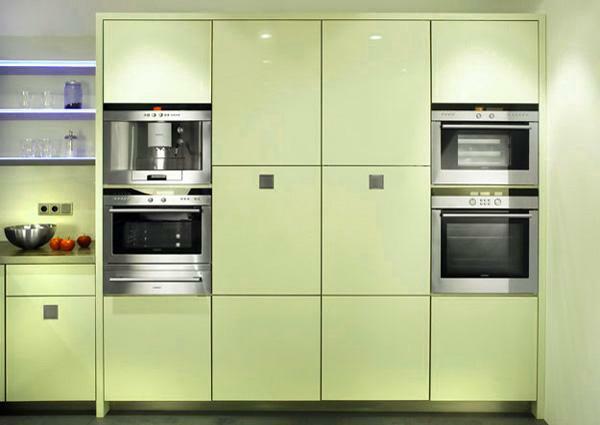 Creamy whites, elegant gray color tones and all hues between pale and medium green pastels create an incredible range of values that brighten up modern kitchen design.